A Shoreham man has been jailed for trying to stir up religious hatred against Muslims on Facebook. Nigel Pelham, 50, pleaded guilty to eight counts of publishing threatening written material intending to stir up religious hatred against Muslims on dates between February 24 and November 16, 2015 on his own Facebook account, according to Sussex Police. 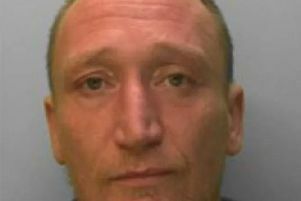 Pelham, of Freehold Street, Shoreham appeared on March 7 at Lewes Crown Court and pleaded guilty to the offences. He was sentenced on Friday at Blackfriars Crown Court in London to 20 months for each of the eight counts to run concurrently. His total sentence will therefore be 20 months in prison. He also has to pay a £100 victim surcharge and has had two hard drives and his tower computer confiscated. Sussex Police hate crime Sergeant, Peter Allan said: “The charges brought in this case are extremely serious and were only brought against four people in England and Wales during 2016. “Many people see social media as a harmless and sometimes faceless place to air their opinions, however I hope this shows we will not tolerate this type of behaviour and will act when someone reports their concern about what someone is posting. “I hope the sentence handed down by the court on Friday acts as a deterrent to others and sends a reassuring message to those who may be directly targeted or are more widely affected by people’s use of social media to spread messages of fear and hate.